If you’re done away with those overtly dramatic daily serials, and if you’re still craving for more, read the Mahabharata. Or, if you’re averse to reading, binge watch the elaborate BR Chopra’s TV series on the epic. With twisted subplots, vibrant characters and myriad tales, this epic offers so much more than a mundane and predictable serial has to offer. And yes, there are plenty of life lessons for you to learn too. And, if you think all the characters of the epic, like your favorite serials, are either black or white, here’s presenting Shakuni Mama to you. Here we present before you a selection of amazing facts about the master conspirator in Mahabharata. 1. His biggest enemy was Bheeshma Pitamah. Shakuni was angry because Bheeshma was made his sister Gandhari marry a blind Dhritarashtra. 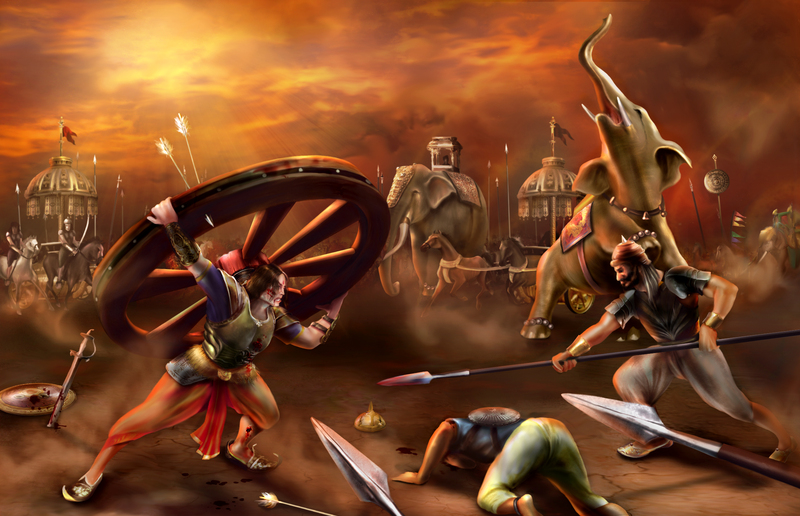 He was not against the Pandavas. His only objective was to ruin the entire family clan of Bheesma Pitamah. 2. The lead conspirator of Mahabharata, Shakuni was no coward. This is because he had all the opportunities of returning to his own Gandhara kingdom with his son, Uluka, right before the Pandavas returned from their Agyatavas. But he chose to stay back and wait until the all of Bheeesma Peetamah’s family lay devastated. 3. If you think that “villains” pray to the devil, you’re again mistaking big time for stereotypes don’t work in our epics. 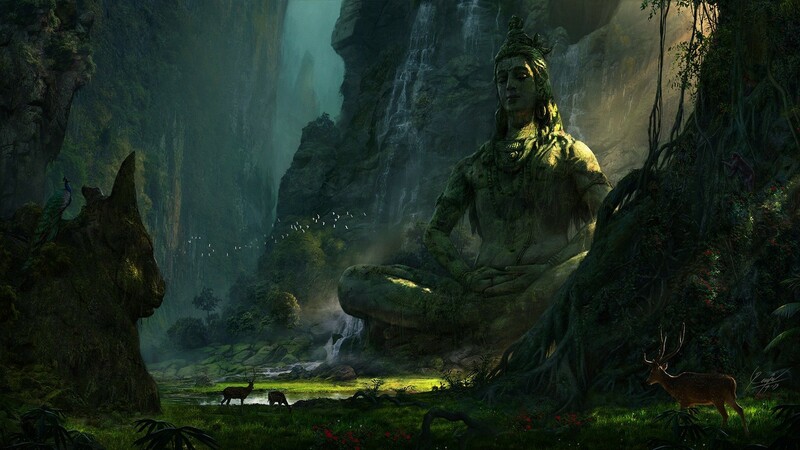 Unlike Gandhari, whose aradhya was Lord Krishna despite Him being on the “enemy” side, Shakuni’s aradhya, like Ravana in Ramayana, was Lord Shiva! 4. None of his manipulations were done in the presence of Krishna. This scheming man knew very well that all his manipulations would go to the dogs in presence of Lord Krishna. Now that’s one jackal we have. 5. 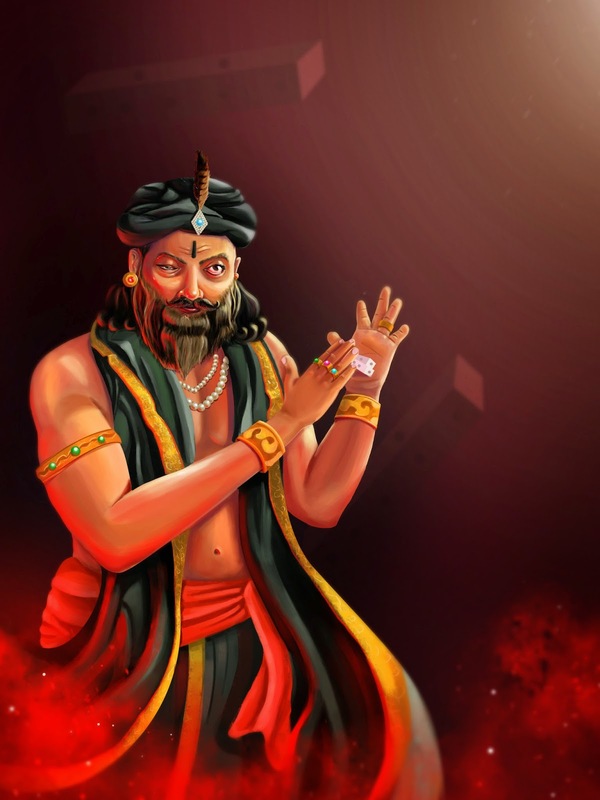 Shakuni is regarded as the flag bearer of the Dwapar Yuga! If the Kurukshetra was the result of antagonism between the Pandavas and the Kauravas, Shakuni was undoubtedly the catalyst! 6. So what if he’s the scheming villain? Like Ravana, he too has a temple dedicated to him. As we said earlier, you won’t find a perfectly white or black character in Mahabharata, and that stands correct for Saubala too. In Kerala, there is a temple dedicated to Shakuni. 7. 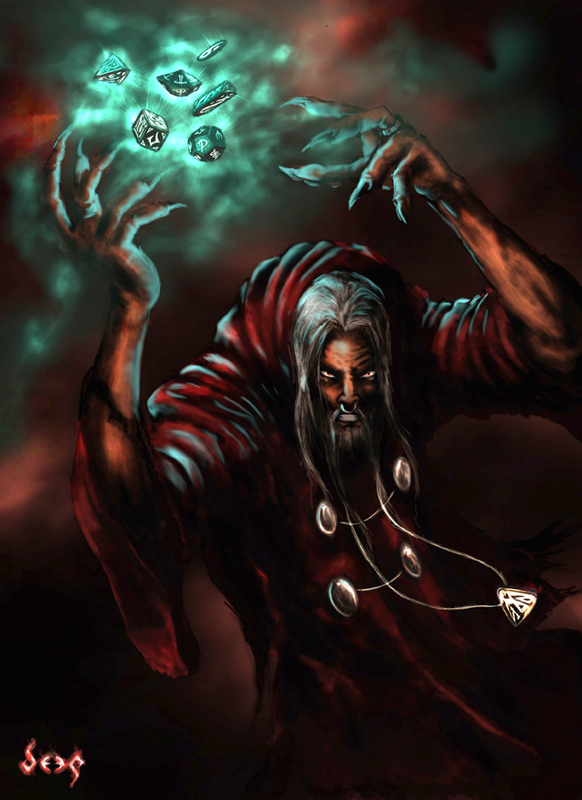 All of us know about Shakuni’s ability as a master dice player. But there remains numerous tales about the content of the dice. According to some, it was made of his father’s ankle bone which wouldn’t burn at his pyre while some others say that the dice contained his father’s asthi. As an illusionist, Shakuni could manipulate the ivory dice really well. 8. Do you know what Ved Vyas had to say about the same? Well, he rather chose to remain mum about the whole affair. In fact, the lack of any hint about the same makes us believe that the dices were made of ivory! Ivory or ash, we cannot help but applaud the master trickster’s competence as a master player! 9. You may love or hate Shakuni for what he was, but ignoring him is just IMPOSSIBLE! He was the master plotter behind the infamous battle of Kurukshetra after all. And, not everyone has the power to win kingdoms through just a “mere” dice game! 10. 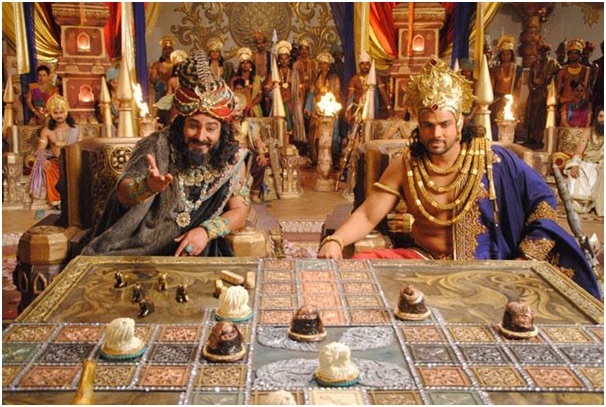 Shakuni hired Purochan to kill the Pandavas in the Palace of Wax. Shakuni had even advised Duryodhna during his childhood to mix poison in Bheema’s food. 11. He advised Kauravas to break the war protocol and kill Abhimanyu. 12. Shakuni did not just have 100 nephews (Kauravas); he also had 100 brothers. He was the youngest and last surviving brother. And, Shakuni isn’t the only name this great mastermind had. Being the 100th son of King Subal, he had earned himself another name—Saubala!